Mark Bunnell and Andrea Terry of Carnival of Chaos Comedy Productions know that comedy is serious business. 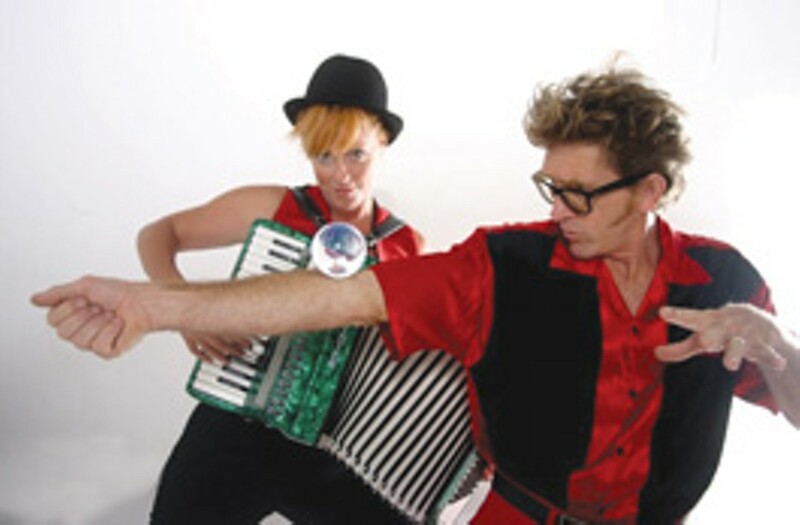 Whether it's riding a seven-foot unicycle, juggling flaming torches or pretending to be a duo of crime-fighting superheroes, Bunnell and Terry's performances incorporate elements of comedy, music, magic and their own unique brand of theatricality. Born of a desire to fill an ensemble-show void in San Francisco, the Carnival of Chaos has since moved north to conquer Sonoma County in what Bunnell describes as "a fun, collaborative experience." With a barrage of costumes, props and musical instruments at their disposal, Bunnell and Terry's performance style is one part circus and one part cabaret. Their latest work, A Night of Extreme Vaudeville: Survival Tips for the Reckless, is a lesson in expecting the unexpected. "This show is still a work in progress," Bunnell says. "It's sort of chaos in its earliest form. It may not be the most polished, but it will never be boring." Bunnell and Terry bring their organized chaos to the stage as part of the ArtsSonoma '10 Festival, a two-week festival featuring all things artistic. Though the theme of this year's festival is "Imagine," which includes imagining the nightmare of a world without creativity or art, Bunnell is more concerned with things on a local level and hopes that the performance and the festival will help pave the way for more collaborative comedy shows in the North Bay. The newly renamed Arlene Francis Center may be the perfect venue. "In Sonoma County, particularly in the Railroad Square area, there's a lot of music but there's not really a venue for comedy," Bunnell says. "We really want to use this festival to get the venue up and running. It's a cool, old building and it should draw a crowd. We're lucky to get it." A Night of Extreme Vaudeville: Survival Tips for the Reckless with Carnival of Chaos unleashes mayhem Friday, Sept. 10, at the Arlene Francis Center (formerly the North Bay Film & Art collective), 99 Sixth St., Santa Rosa. 8pm. $10&–$20. 707.526.7329.